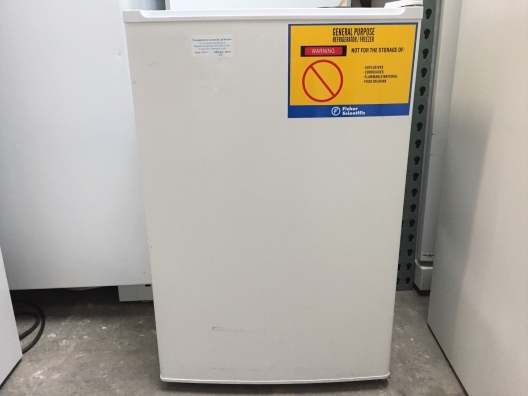 It seems the Fisher Scientific 97-920-1 Undercounter Refrigerator ID #: 19507 has been sold and is no longer available. Looking for similar items? Click Here to easily view our available inventory similar to your search. Exterior dimensions: 24.5L x 23.5W x 33&#160;in.H (62 x 60 x 84cm)&#134;. Shipping weight, 120 lb. (54.5kg). For 120V 60Hz, 2A; 15A breaker. Thank you for your interest in the Fisher Scientific 97-920-1 Undercounter Refrigerator (ID #: 19507). To speak with a representative, please fill out the contact form below or call us directly.